Saturday, January, 9 a.m.–1 p.m. 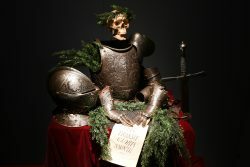 Explore the world of knights in the Middle Ages and Renaissance. Experience their daily lives and meet knights and their horses. Presented by the Society of Creative Anachronism. There will also be an ancient games tournament from 11:00 am to 2:00 pm. Try your hand at Senet, the royal game of Ur, Parcheesi, Go and Chess with 12th century Lewis chessmen. This popular event is sponsored by AIA, Houston Society. NASA tomographic image of the subducted Farallon Plate in the mantle beneath eastern North America. Source: Wikimedia Commons. 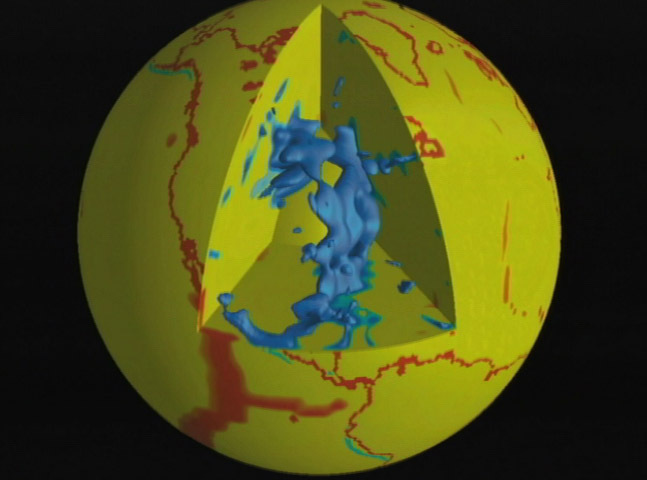 In the last few decades, seismologists have mapped the Earth’s interior–crust, mantle, and core–in ever increasing detail using seismic computerized tomography which occur mostly on tectonic plate boundaries. However, these receivers are primarily on dry land, leaving large volumes beneath the oceans unexplored–until now! Geophysicist Dr. Frederik Simons of Princeton University will introduce MERMAID: a fully autonomous marine instrument that travels deep below the ocean surface, recording seismic activity and marine environmental data. Simons will also overview a century of Earth imaging, a decade of instrument design and development, and the exciting places MERMAID is discovering. 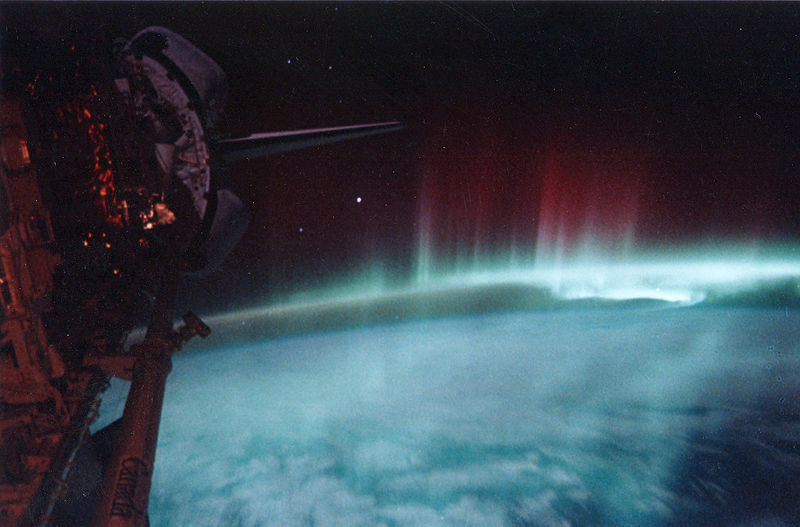 Aurora australis observed by Discovery, May 1991. Source: Wikimedia Commons. Earth resides within the atmosphere of an active star, protected only by a thin sliver of atmosphere and an invisible bubble of magnetic field. The Sun produces a wide range of energetic phenomena, such as solar flares and coronal mass ejections, that interact with the Earth system, creating an array of physical responses from the beautiful (aurorae) to the devastating (“killer electrons”). By studying this dance between the Sun and the Earth, more prosaically Space Weather, we hope to understand not only the Earth but the new Earth-like planets recently discovered around other active stars. In this talk, we will discuss the intricate ballet of the Sun-Earth interaction, including the dynamic sources of Space Weather at the Sun and their impacts at the Earth. We will explore the causes and characteristics of aurorae, the hazards of the active space environment during solar storms and how we can use these to learn about the possible habitation of other worlds.